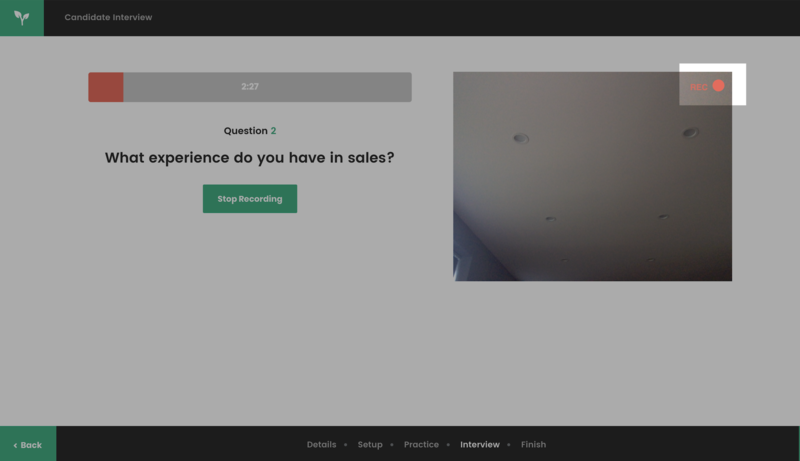 When you begin your video interview and click the “Start Recording” button you will notice that the green button has changed to “Stop Recording” and there is also a recording symbol on the video screen. When you see these 2 things, that indicates that you are being recorded. See Screenshot below for example.